September 21st, 2011 By: GGT Category: 2012/01 release, Figure News. 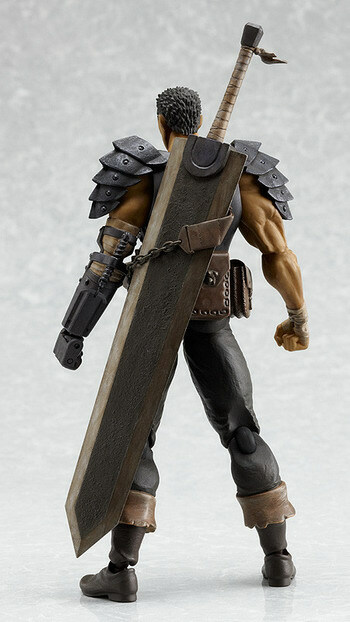 Max Factory is going to release the figma 120 Guts ( ガッツ ) Black Soldier ver. ( 黒い剣士ver. ) 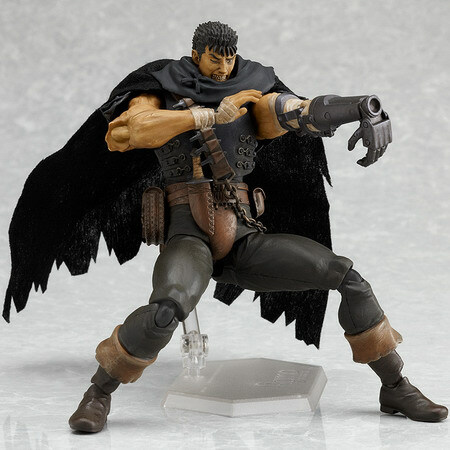 action from the manga/anime “Berserk” ( ベルセルク ). Will be released in January 2012. Around 165mm tall, 3,620 yen. I never read the Berserk manga nor the anime so I know nothing about this show and this guy. 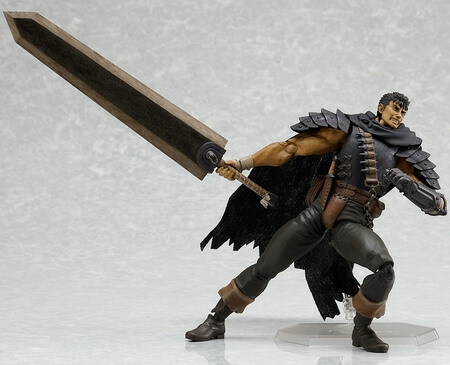 A lot of people said this figma Guts looks so fat, the joints are ugly, he has broken elbow, can’t whole the sword with 2 hands, better leave this kind of figure to Revoltech, blah blah blah…. 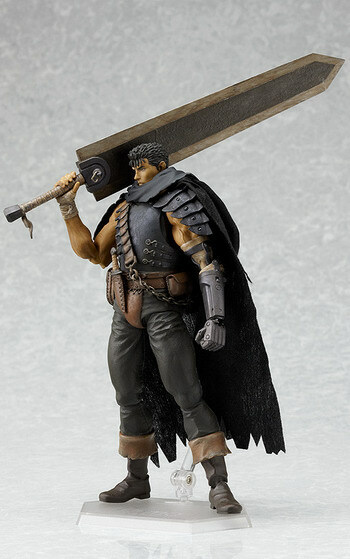 Is this Guts figure really that bad??? I think the looks alright to me. (-______-.? The powerful warrior who challenges his fate. 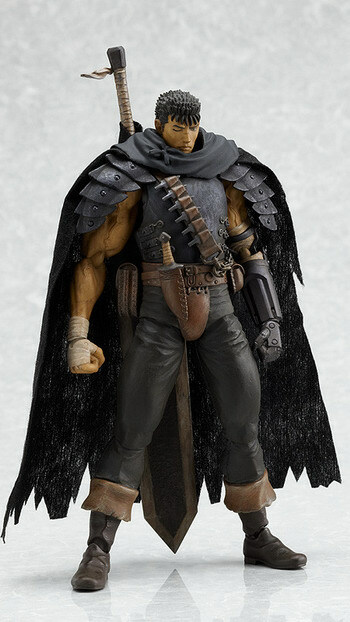 From the upcoming film based on the popular manga ‘Berserk’, comes a figma of the main character that has sworn revenge against the God Hand – Guts! He comes with a standard expression as well as an expression with gritted teeth, for combat scenes. He also comes with his giant sword, the ‘Dragon Slayer’, as well as extra arm parts that allow you to recreate scenes of him shooting his cannon arm.